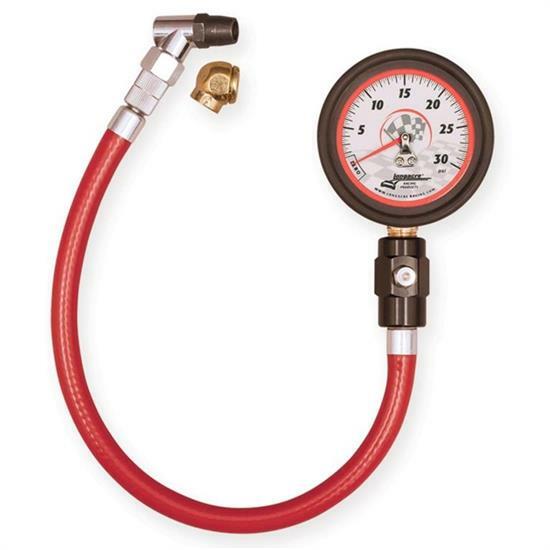 Longacre offers this great looking tire pressure gauge with new graphics! Reads in 1/4 pound increments and includes both angle and ball chucks. Features a 0-30 PSI gauge range.